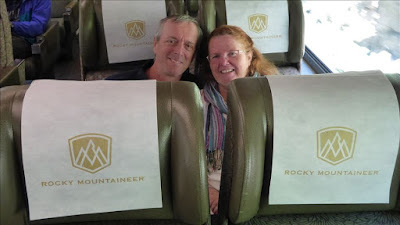 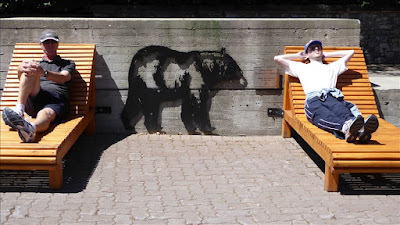 Whistler is in British Columbia and can be easily done as a day trip from Vancouver, but we chose to take the Rocky Mountaineer and stay the night at Whistler, returning the next day. 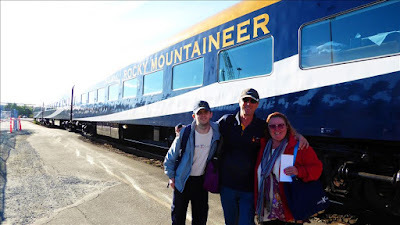 We would have preferred staying an extra night or two, but the train only runs certain days, so we were only able to stay one night. 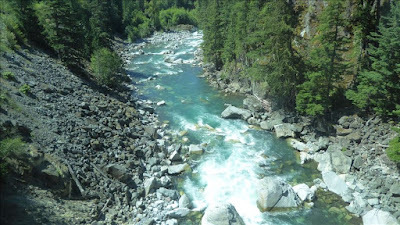 The scenery from the train was magnificent. Lakes, inlets, waterfalls, mountains – continual scenic and relaxing ride. 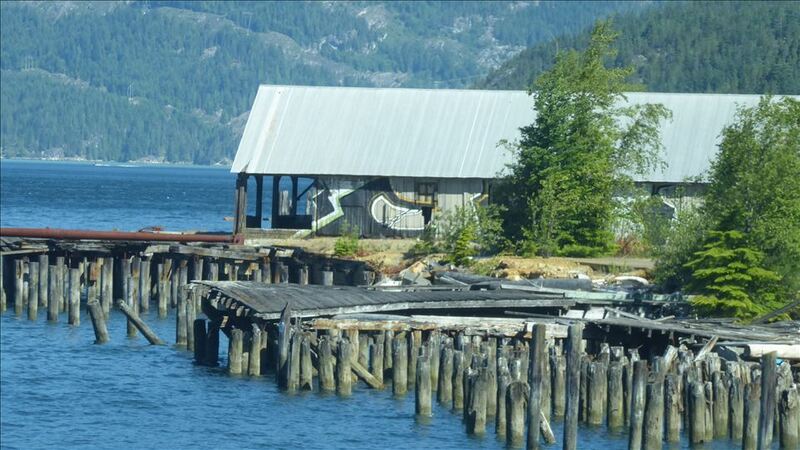 The train moves at a slow pace, giving the one the time to take in the view from both sides of the train. 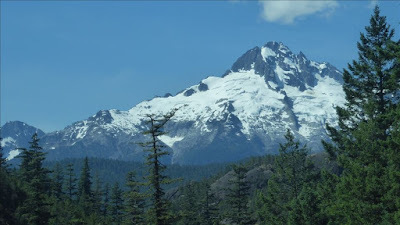 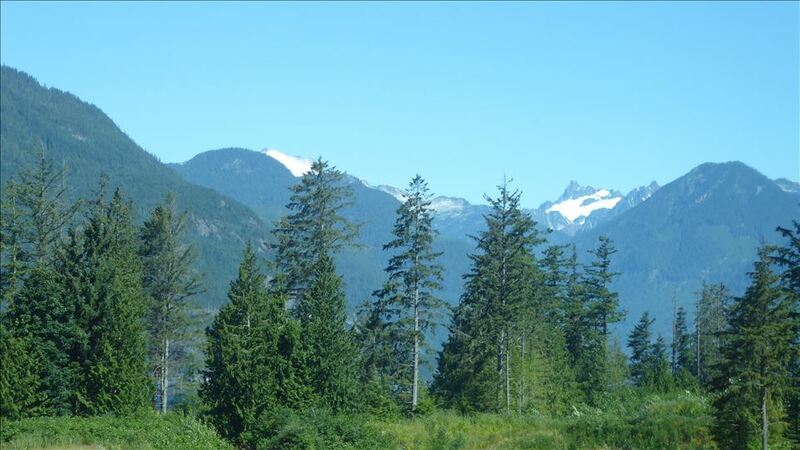 The service up to Whistler has breakfast, fruits and refreshments included in the price, as well as a great commentary by the car host who was very knowledgeable about the history and geography of the area. 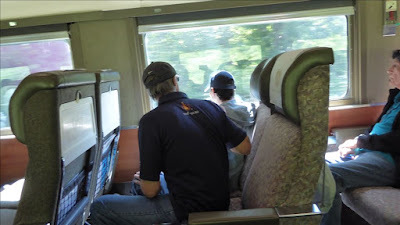 His name was Ken and he really made all aboard feel special. 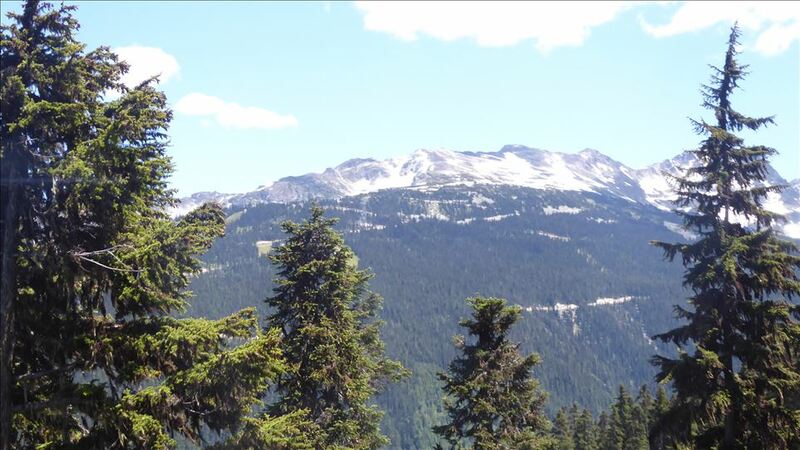 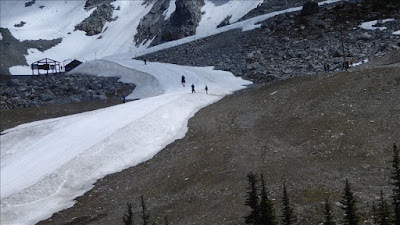 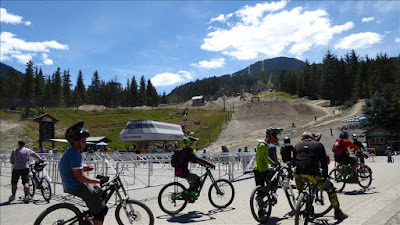 Whistler is now a year round resort, however it was established as a winter resort town as it has two mountains, Whistler and Blackcombe, with many ski fields. It is the largest ski field in North America. 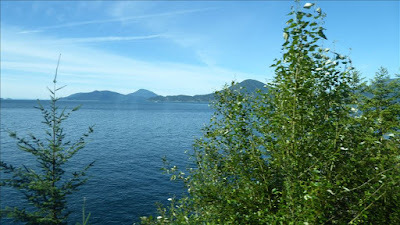 Today there are many different activities at different times of the year. 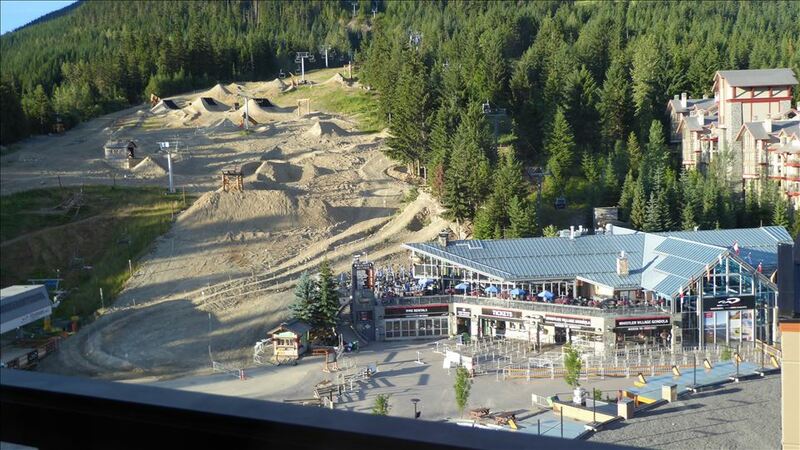 In Summer the area becomes a haven for mountain bike riders. We went up Whistler Mountain in the cable car, and then took another cable car across to Blackcomb Mountain. cafe, bar and views all around. 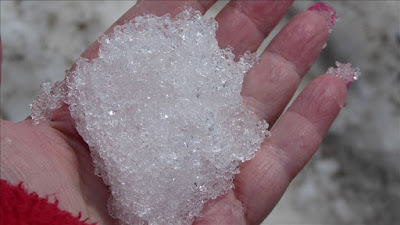 Over on Blackcombe Mountain, the snow was on the ground. We even saw skiers (in the middle of summer). Back on Whistler Mountain we had a late afternoon snack and walk around before heading back to the village. 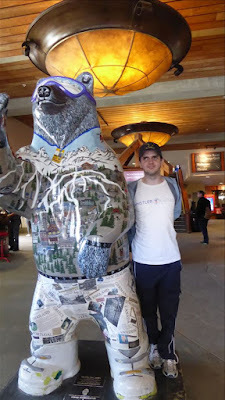 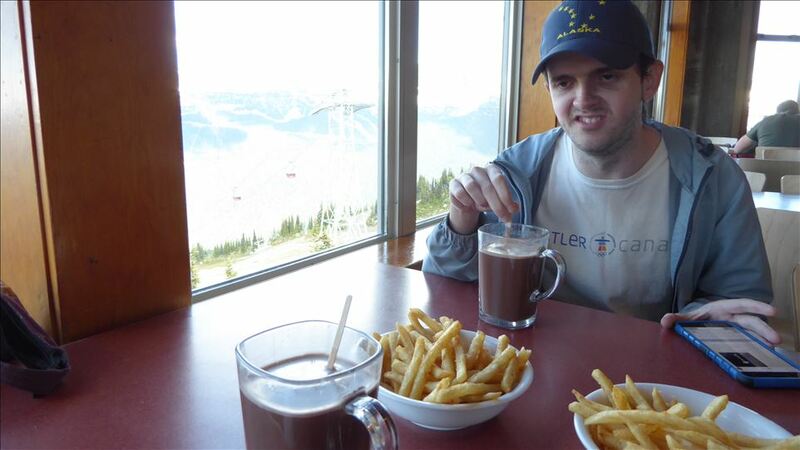 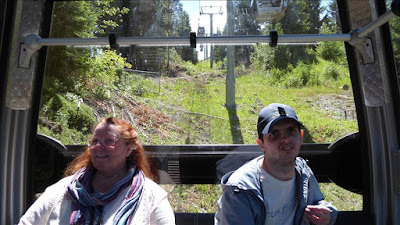 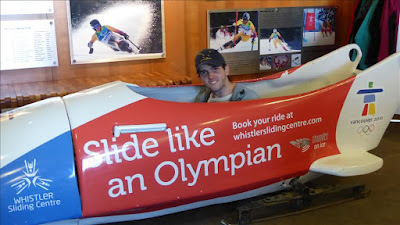 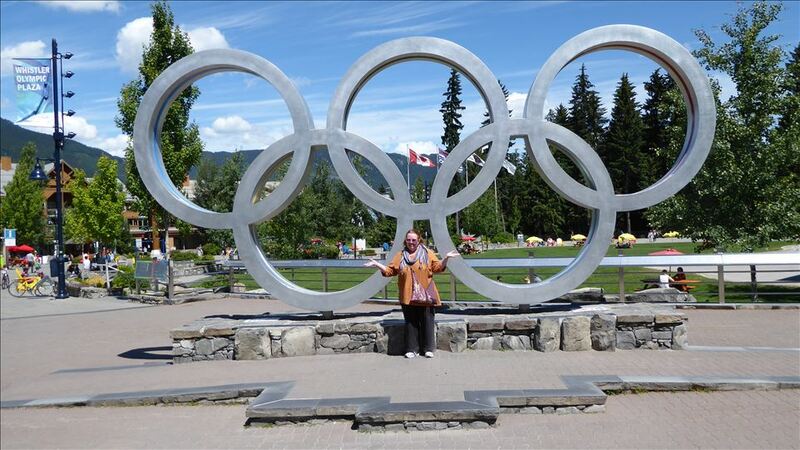 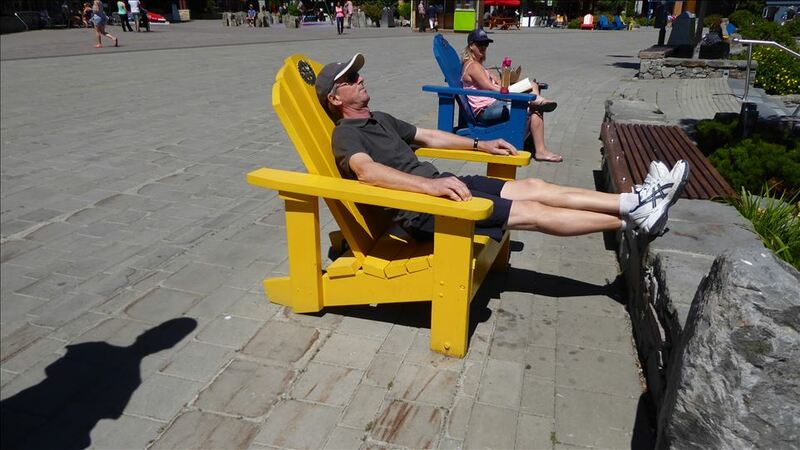 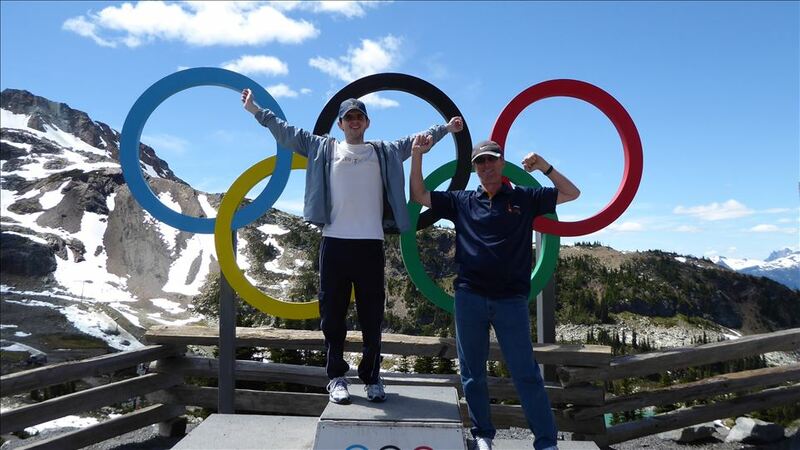 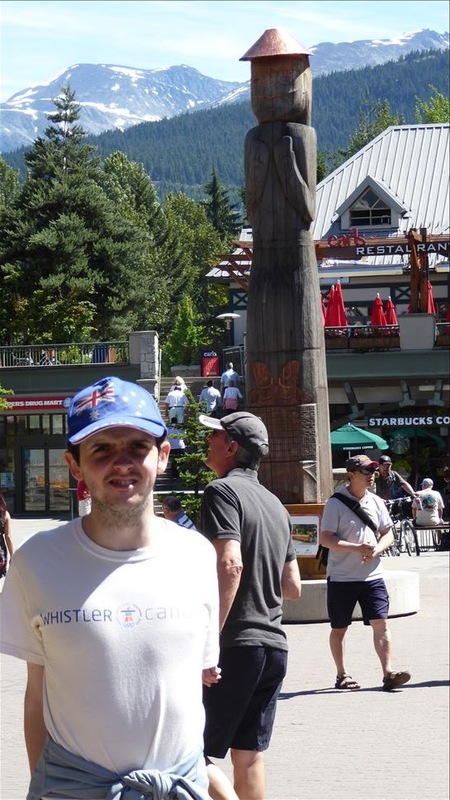 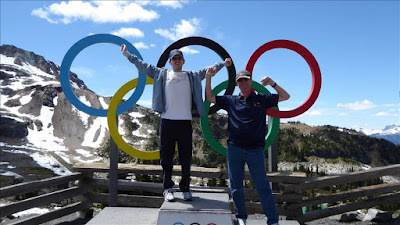 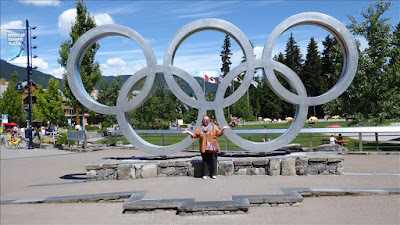 Jonnie loved the Olympic aspect of Whistler. 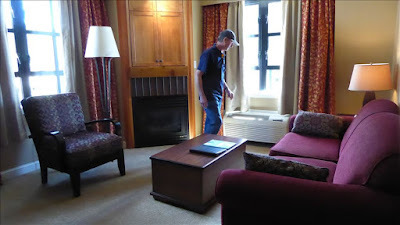 We had booked into the Sundial Resort Hotel and were wonderfully surprised. 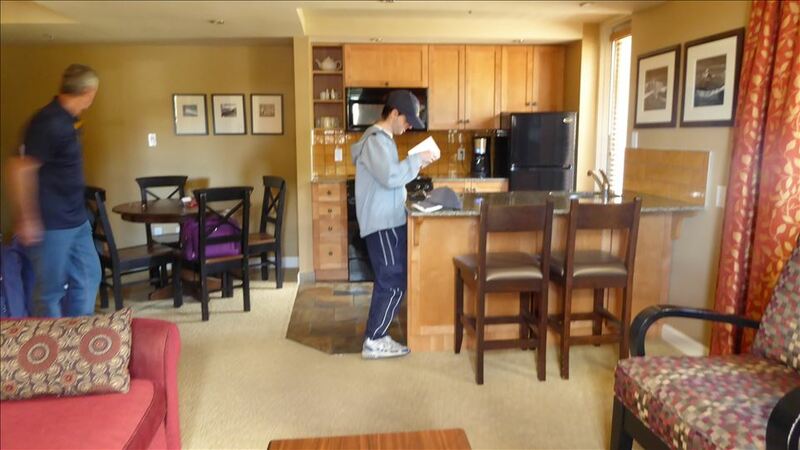 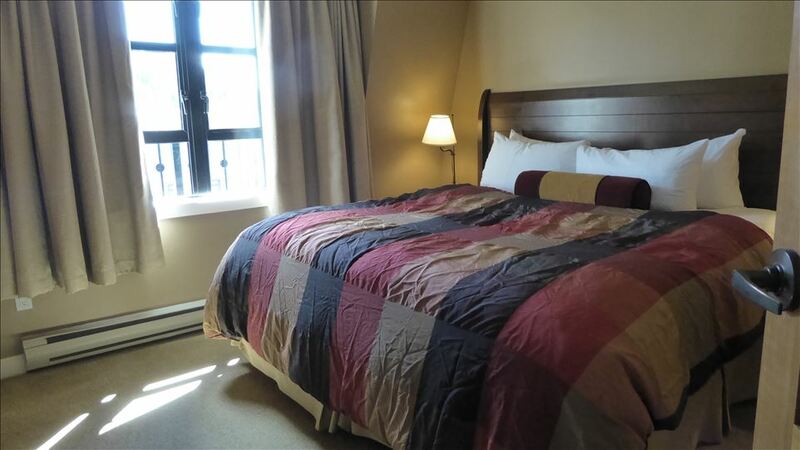 The one bedroom mountain view apartment was self contained with a full kitchen, dining area, balcony and fireplace. 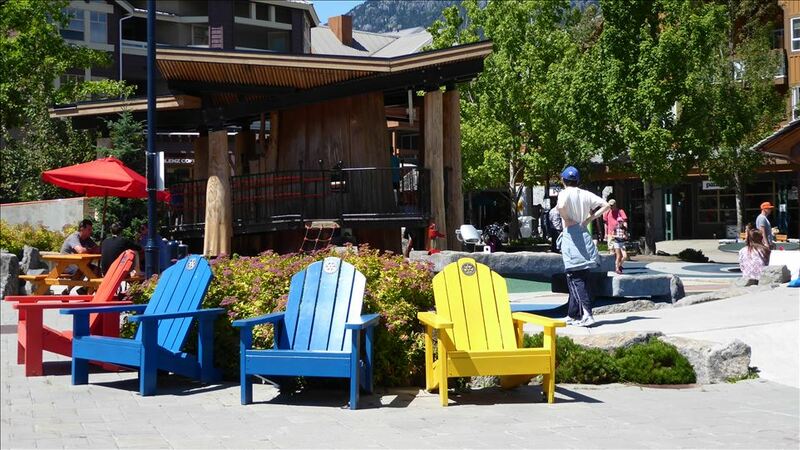 The village is made up of many little boutiques, shops and cafes. There were many places for tourists to sit and enjoy the passing parade. It was spectacular Jenny. 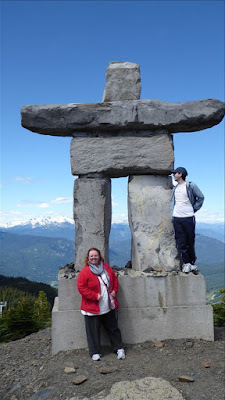 We only did the short trip, and that was expensive enough, but so worth it.